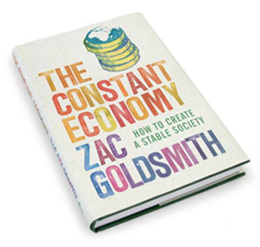 I’ve had mixed thoughts when reading Zac Goldsmith‘s “The constant economy: how to create a stable society” over the last few days. It makes some useful contributions to an ultra-important debate. However, the recommendations it makes frequently strike me as impractical. Zac has been one of the advisors to the UK Conserative Party on environmental matters. He is now the Conservative prospective parliamentary candidate for the Richmond Park constituency, which is adjacent to the one I live in. It’s possible that his views on environmental matters will have a significant influence over the next UK government. Some of the examples in the book made me think, “Gosh, I didn’t realise things were so bad; things can’t be left to go on like this“. I had these thoughts when reading, for example, about the huge decline in fishing stocks worldwide, and about the enormous swathe of plastic waste in large parts of the Pacific Ocean. Other parts, however, made me think, “Hang on, there’s another side to this story” – for example, for some of the incidents described in the chapter about the Precautionary Principle, and for the section about nuclear power. People should have a legal ‘take back’ right enshrined in consumer law. This would give everyone the right to take any packaging waste back to the shop it was bought from, and impose an obligation on retailers to recycle that waste once it was received. 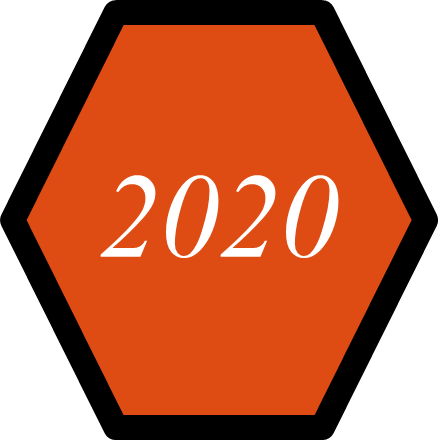 A cross-party taskforce should be established immediately to draw up a risk assessment. It should not invite the traditional fuel industry to take part, as it would effectively be studying a risk scenario that says their maths is incorrect. The taskforce should be required to publically report its findings within a year. At the same time, we should also expect our government to put pressure on the UN or International Energy Authority to undertake a review of the world’s oil reserves. If the economic models of every nation on earth are based on the assumption of everlasting oil supplies, it is reasonable that they should know how much oil actually exists. We urgently need a renewable energy fund to provide substantial grants for the research and development of radical new clean energy technologies. From wave power to clean coal technology, potential solutions remain in the pipeline due to a lack of investment. Government should provide that investment. Diverting money that would otherwise be spent subsidizing fossil fuels or the nuclear energy could provide billions of pounds for research, support and, crucially, for upgrading the national grid. There’s no roadmap (everything is equally urgent). Despite this weakness, this book still has merit as a good conversation starter. The world is in trouble. As human numbers expand and the resource-hungry economy grows, the natural environment is suffering an unprecedented assault. Forests are shrinking, species are disappearing, oceans are emptying, land is turning to desert. The climate itself is being thrown out of balance. In just a few generations, we have created the biggest threat to the natural world since humanity evolved. Unless something radical is done now, the world in which our children grow up will be less beautiful, less bountiful, more polluted and more uncertain than ever before. Yet few politicians are prepared to take the action needed. Nothing happens. Time ticks by, the situation becomes more urgent – and government does nothing. Why? Our defining challenge is to marry the environment with the market. In other words, we need to reform those elements of our economy that encourage us to damage, rather than nurture, the natural environment. Note: this is hardly a new message. For one, Jonathon Porritt covered similar ground in his 2005 book (with a new edition in 2007), “Capitalism as if the world matters“. However, Zac has a significantly simpler writing style, so his ideas may reach a wider audience – whereas I confess I twice got bogged down in the early stages of Jonathon’s book, and set it aside without reading further. We need to change the boundaries within which the market functions, by using well-targeted regulation. Note: it’s clear that the existing carbon trading scheme has lots of problems (as Zac describes, later in the book). That’s a reason to push on quickly to a more effective replacement. It’s crucial that wherever money is raised on the back of taxing ‘bad’ activities is used to subsidise desirable activities. For example, if a new tax is imposed on the dirtiest cars, it needs to be matched, pound for pound, on reductions in the price of the cleanest cars. The complication is that once the higher taxation drives down usage of (in this example) the dirtiest cars, the amount of tax earned by the government will be reduced, and the “pound for pound” balance will break. It’s another example of how the ideas in the book lack detailed financial planning. Presumably Zac intends these details to be provided at a later stage. Direct controls force polluting industries to improve their performance, and can eliminate products or practices that are particularly hazardous… Markets without regulation would not have delivered unleaded petrol, for instance, or catalytic converters. Without regulations requiring smokeless fuel, London’s smogs would still be with us. Note: again, the suggested practical follow-up seems weaker than the analysis of the problem itself. The economy has been ultra-optimised to pursue growth in GDP. That’s how businesses are set up. That’s going to prove very difficult to change. Attention to non-financial matters is very likely to be squeezed. However, it’s surely good to have the underlying problem highlighted once again. Robert Kennedy’s stirring words ring as clearly today, as when they were first spoken: March 1968. Let’s keep these words in mind, until we are confident that society is set up to pursue what matters, rather than simply to boost GDP. Further reading: The book has its own website, with a blog attached. …I haven’t changed my mind, David. I still think this is not pressingly important or urgent. In my view, the single biggest problem we have at hand is that people are breeding like rabbits, and the planet cannot feed us all. Us rich westerners consume so much natural resources that just supporting our lifestyle would be a burden. But, we are not only idiots in our own consumption manners, we are idiots in showing the rest of the world that this is the preferred lifestyle. Our example leads to billions of people in developing and underdeveloped countries pursuing our way of living. This is done by unprecedented exploitation of resources everywhere. The mention of “first things first” and “single biggest problem” is music to my ears. I’m currently engaged on a personal research program to try to clarify what, for me, should be the “first things” that deserve my own personal focus. Having devoted the last 21 years of my work life to mobile software, particularly for smartphones, I’m now looking to determine where I should apply my skills and resources for the next phase of my professional life. I completely agree with Petra that the current “western consumer lifestyle” is not sustainable. As more and more people throughout the developing world adopt similar lifestyles, consuming more and more resources, the impact on our planet is becoming collosal. It’s a very high priority to address this lack of sustainability. Side-effects of processes for creating resources. Briefly, we are in big trouble if (1.)x(2.) exceeds (3. ), and/or if the side-effects (4.) are problematic in their own right. My view is that the biggest leverage will come from addressing factors (3.) and (4. ), rather than (1.) and (2.). There are, of course, large challenges facing attempts to create massive-scale solar energy harvesting and massive-scale CO2 removal from the atmosphere. These challenges span technology, politics, economics, and, dare I say it, philosophy. rather than seeking to limit expectations, with comments such as “this kind of enhancements might become possible in 100-200 years time”, we should recognise the profound possible synergies arising from the interplay of technologies that are individually accelerating and whose compound impact can be much larger. Helping to accelerate these changes in mindset is one of the big challenges I’d like to adopt, in the next phase of my professional life. Whatever course society adopts, to address our sustainability crisis, there will need to be some very substantial changes. People embrace change much more willingly, if they see upside as well as downside in the change. 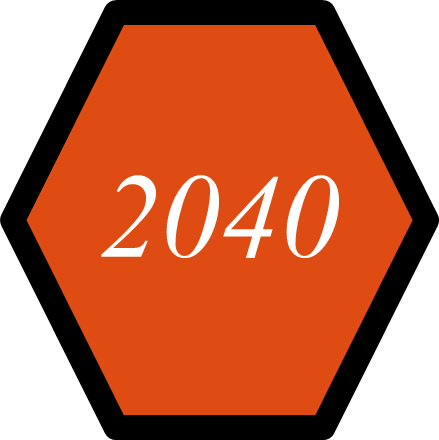 The H+ vision of the future I see is one of abundance (generated by the super-technology of the near future) along with societal harmony (peaceful coexistence) and ample opportunities for new growth and exploration. To return in closing to the question raised earlier: what is the “single biggest problem” that most deserves our collective attention? Is it population growth and demographics, global warming, shortage of energy, the critical instability of the world economic order, the potential for a new global pandemic, nuclear terrorism, or some other global existential risk? In a way, the answer is “none of the above”. Rather, the single biggest problem is that, globally, we are unable to collaborate sufficiently deeply and productively to develop and deploy solutions to the above issues. This is a second-level problem. The economic, political, and philosophical structures we have inherited from the past have very many positive aspects, but many drawbacks as well – drawbacks that are becoming ever more pressing as we see accelerating change in technology, resource usage, and communications.